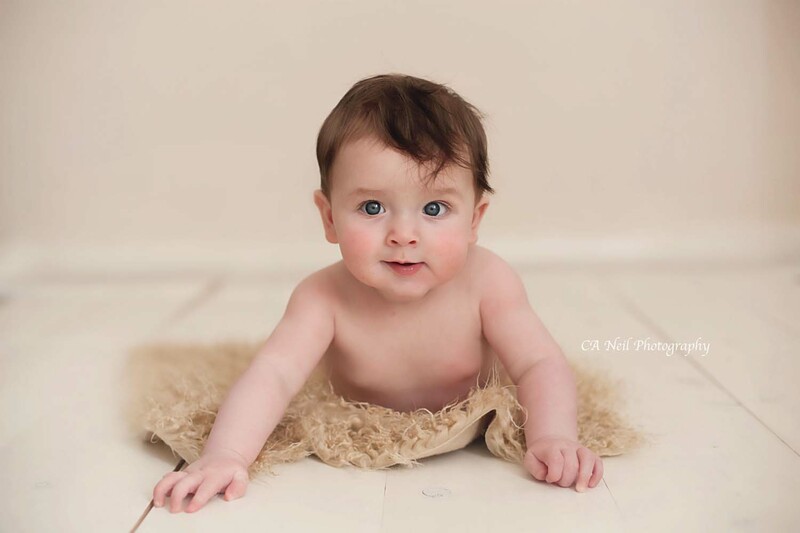 At CA Neil Photography I offer a little sitter session, one of my baby photography Glasgow service, which is the perfect follow on from a newborn photography session. A question we always get asked is “what is the best age for baby photography?” Any age is the right answer! At around 7-10 months your baby will likely have mastered their first big milestone – sitting up unassisted! 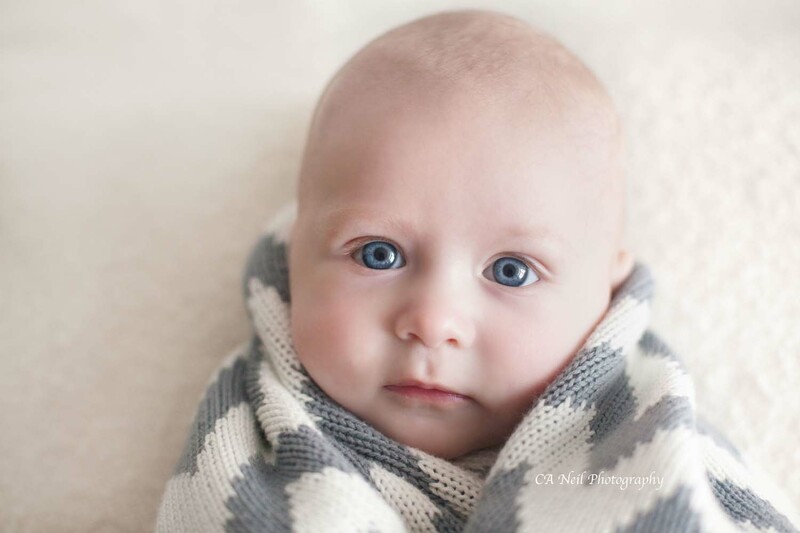 This baby photography session is a great way to show how much your baby has grown and changed in just a few short months. 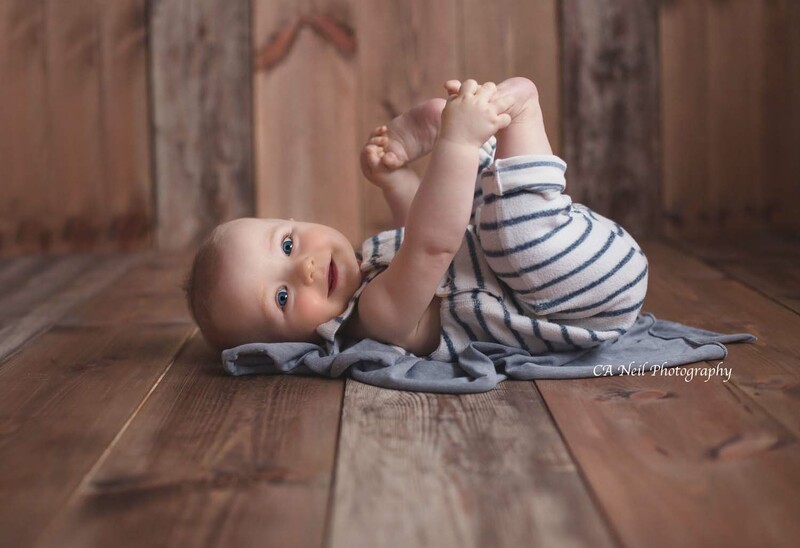 The little sitter session is designed to capture your baby’s personality in the simplest way. 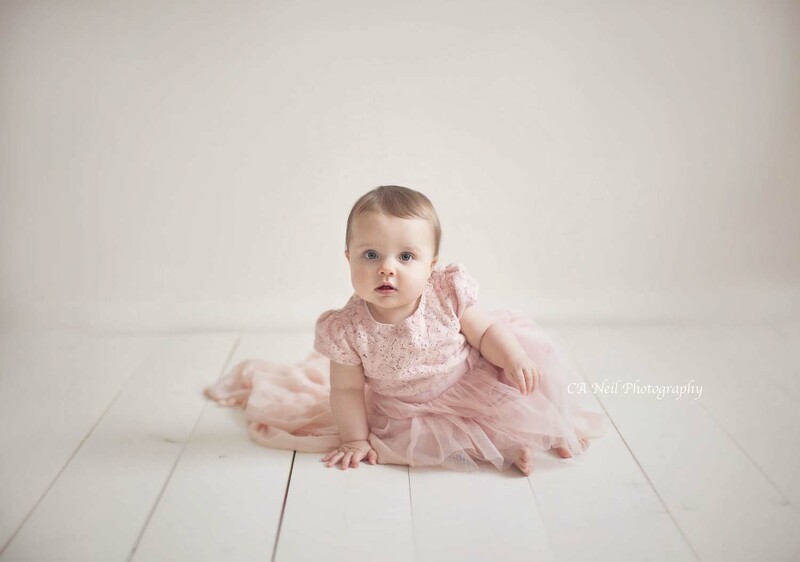 Baby Photography Glasgow captures the moment that deserves to be shared in beautiful timeless portraits. It is also a great session to book if you have missed out on a newborn photography session. 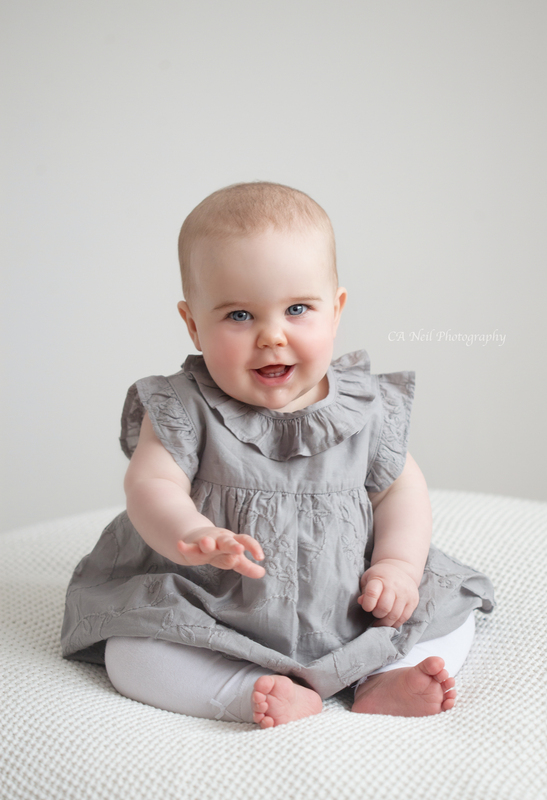 This is one of my favourite milestones to capture as babies this age are interactive, giggly and full of smiles! I adore capturing their sweet and sometimes hilarious expressions, their adorable squishy thigh rolls and the look of wonderment on their little faces during their baby photography session. 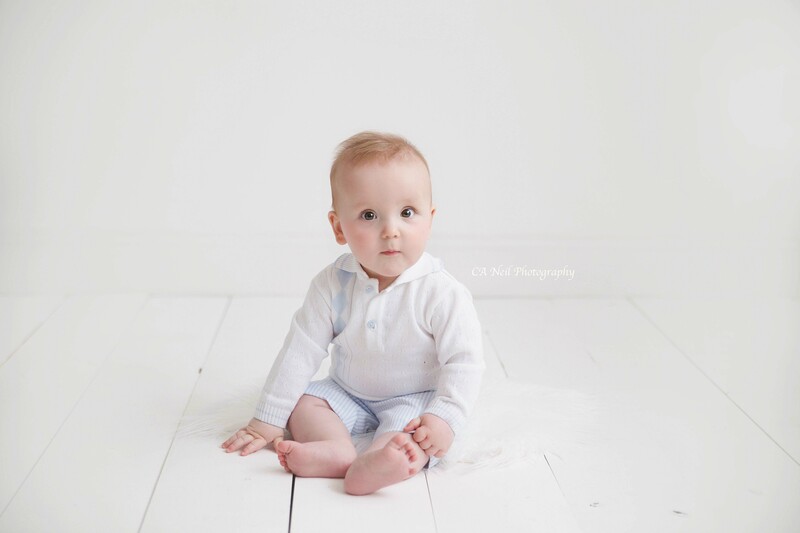 This baby photo shoot Glasgow is the best time to photograph your little one before they become fully mobile. As a Glasgow Baby Photographer, each session is taken in my dedicated and welcoming studio that offers a relaxed and warm environment. CA Neil Photography studio is easily accessible and centrally located in Gartcosh just off the M74. Prior to your session, we will have already discussed ideas for outfit choices, props and who will be included in the session. If you have older children they are very welcome to have some portraits taken too and of course, a family portrait is a must if you’re feeling up to it! Approximately 1-2 weeks after your session you will be invited back to my studio to view your images for the 1st time and discuss what package you would like to order and view the stunning pieces of wall art available to purchase. The timing of these sessions are really important so if you are considering booking a baby photography Glasgow session then please contact me as early as possible to ensure the date is available for your little one’s photo session. If you already booked your newborn session with me then you can expect a discount of £50 off your chosen package!